Check out and Infrashine's Facebook Page! Quiet, ultra lightweight and perfectly balanced, the new UL3™ has a sleek, stealth-inspired ergo-design with revolutionary technology that dries hair quickly and effectively using far less electricity and effort. InfraShine’s new Anionic Mineral Technology or AMT™ coats the internal workings of the dryer making classic ceramic technology even more effective. 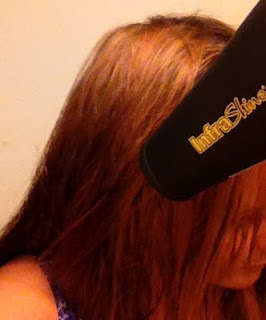 A great source for powerful negative ions, AMT™ coupled with a FAR-infrared ceramic heater work together to seal in more of hair’s natural moisture and make the cuticle layer smoother, leaving hair even silkier and luster-rich. Highly efficient and eco-friendly, the UL3™ offers 2200 watts of drying power using only 1400 watts of electricity. 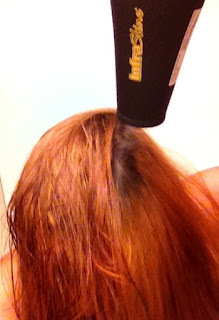 The gentle but highly efficient technology, coupled with an advanced DC motor, dries hair faster using less wattage, amps or electrical current than traditional dryers. In addition to emitting fewer EMF (Electric & Magnetic Field) waves, the ultra lightweight, quiet and durable DC motor is more efficient and lasts longer than traditional AC models. Multilevel heat and air settings offer high, medium or low amounts of heat and high or low airflow while the locking cool shot button sets the style and increases shine. 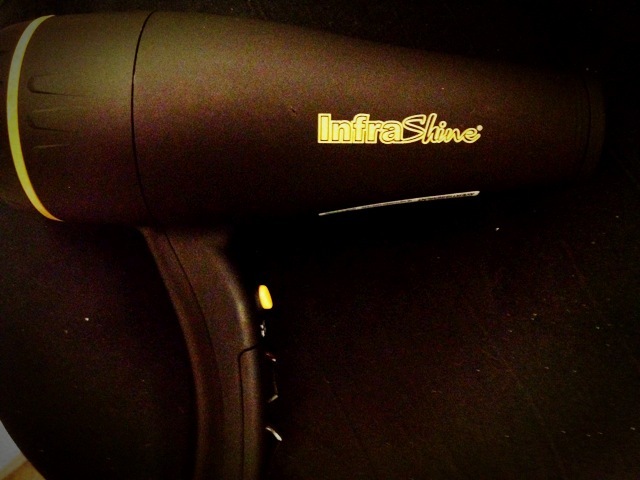 This convenient feature allows the user to alternate temperatures to speed drying while allowing for maximum comfort. The classic black Soft-Touch finish and S-curve handle provide a firm but balanced grip while the secure, snap-on nozzle and diffuser attachments offer styling versatility. 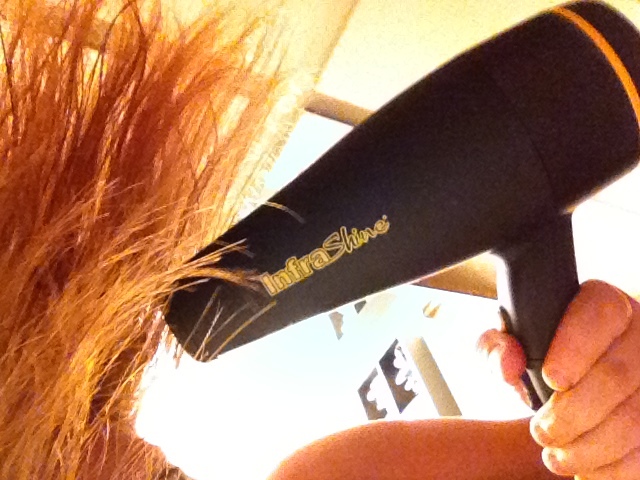 The barrel of the UL3™ dryer is also double insulated to allow for hand held styling techniques. An extra-long, tangle-resistant cord with ALCI safety plug features new interlocking matrix technology for power consistency and increased surge protection, even with use of power strips. The removable rear grill makes for easy cleaning and then snaps securely into place for long-lasting use. Highly durable for demanding in-salon performance, the UL3™ is TUV approved and is backed by a one-year manufacture’s warranty. 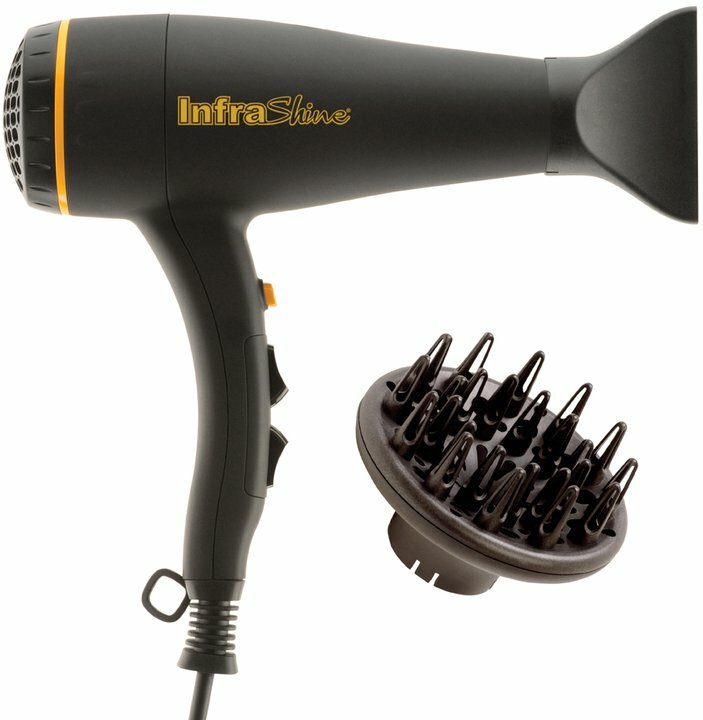 Try InfraShine’s new UL3™ Cool Switch Ceramic Blow Dryer with exclusive Anionic Mineral Technology or AMT™ and see for yourself why InfraShine is the industry leader for premium ceramic styling tools. When quality, performance and durability are essential, invest in the best with InfraShine. The lights in my bathroom are so yellow! Everything you just read is so true, eco-friendly, balanced grip, ultra-lightweight, and quiet (in comparison to other one's I have used for sure)! It dries my hair within minutes (remind you I have fine thin hair), but still it's amazing and dries your hair FAST! 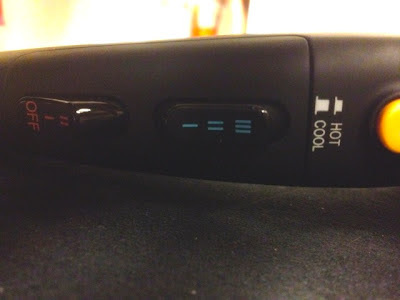 My favorite part is that it has a multi-heat setting, so you can choose high, medium or low heat AND high or low airflow. The cool shot is best, I use it at the end to cool down my head (since I use the medium heat setting). I also use the cool shot to add shine!!! 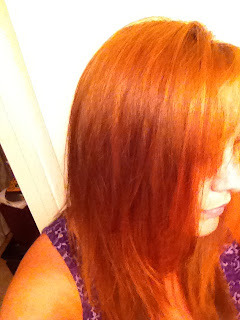 Product sample was given free of charge to Pretty Me Up Blog for a feature.